Take your circuit skills up a notch as you test out new inputs, experiment with conductive dough, and explore electrical resistance. 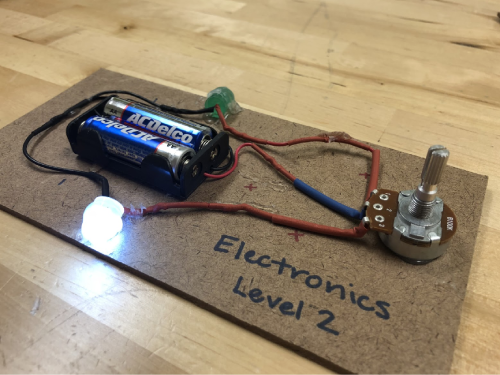 Learn how to use a potentiometer as an LED dimmer, and build a parallel circuit that you can take home. Complete this certification workshop to become an official “Electronics Maker”! Must have an Electronics Tinkerer certification to participate in Electronics Maker.